Summer is upon us! Can you believe it’s May already and I am super excited! I love everything about the summer season! Not only am I am excited for the change of season, but also for the change of season in my life! I am currently planning a 10 year wedding anniversary to celebrate the successful ten years of marriage to my college sweetheart! 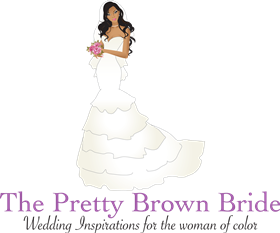 As a treat for you all, I will be documenting my experience right here on The Pretty Brown Bride! Every vendor used will be featured on the blog. You will learn first hand how awesome these amazing vendors are in the DC area! Today, I will start with my venue. For my venue, I chose the beautiful 4935 Kitchen and Bar in Bethesda, Maryland. 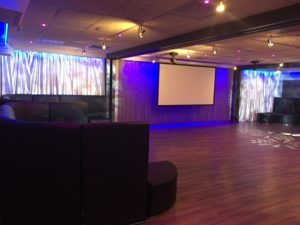 I chose this venue because it exudes fun and versatility! 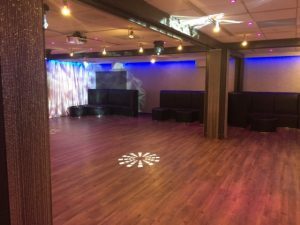 It’s the perfect venue for a club atmosphere or sit down banquet style reception. I know it’s a perfect choice for my guest! Immediately upon entering the venue, I was taken back by it’s creative design space. 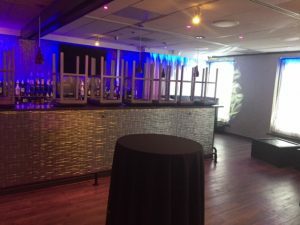 Adorned with a modern bar, fun lounge furniture, and a cascading staircase, it’s a ready made venue perfect for any wedding event! I know that with a space like this I can maximize fun and minimize my decor budget! 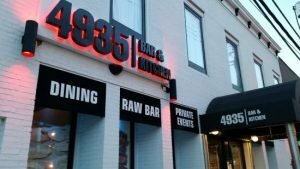 4935 Kitchen & Bar is a gem in the Washington DC area ! Check out the images below! Stay tuned for our next vendor! Don’t forget to check back for the event images!